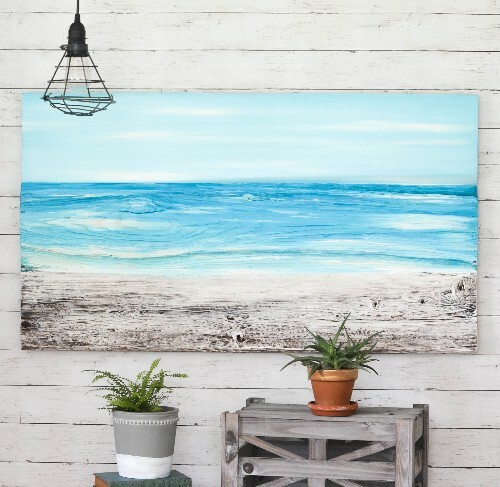 If looking at the ocean makes you happy, let it take center stage in your home with a large ocean art painting or photograph. 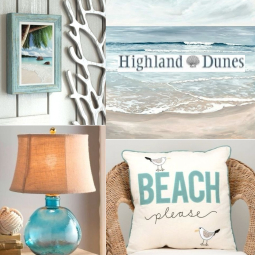 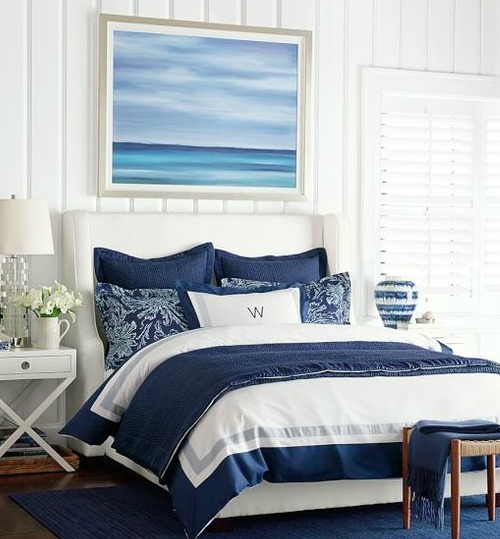 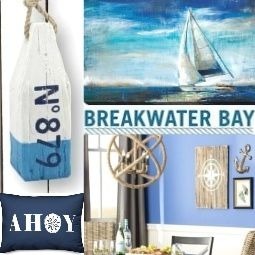 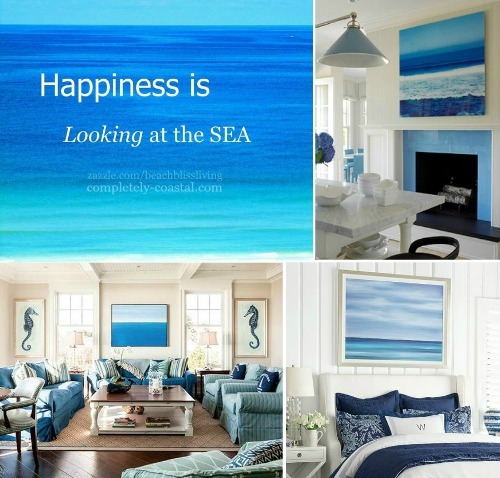 A collection of large ocean art in rooms, along with paintings and photographs to purchase -so you can enjoy the calming effect of the big blue in your home every day. 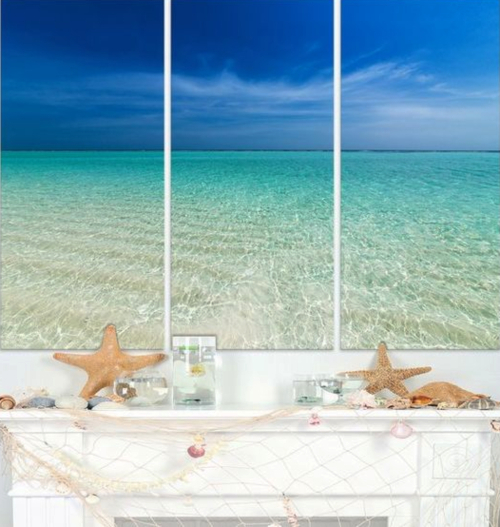 A bold ocean photograph is the focal point in this kitchen by Diamond Baratta. 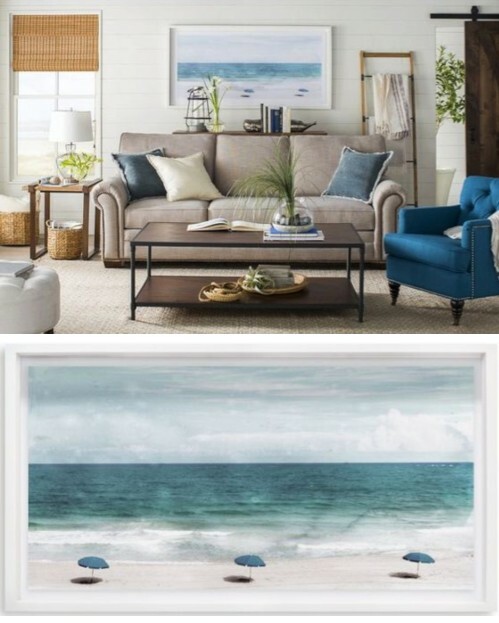 A beautifully composed room with a large ocean painting center stage. 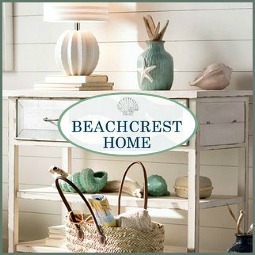 You can tour this home here. 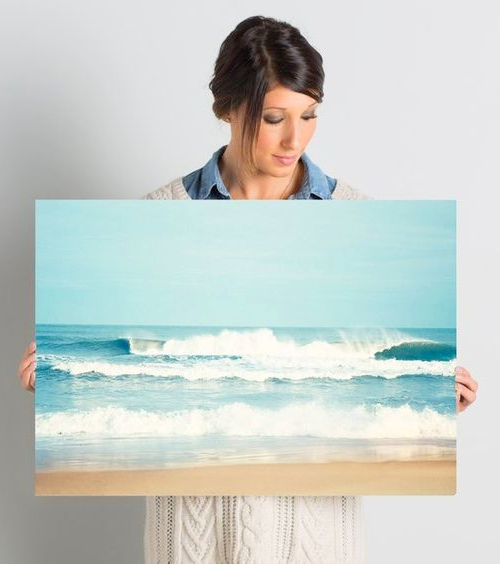 Prints of Photographs & Paintings on Canvas. 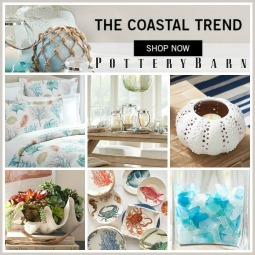 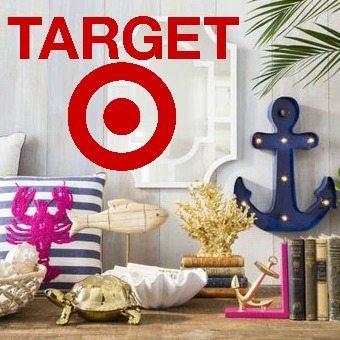 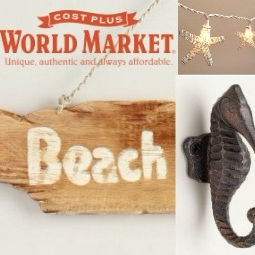 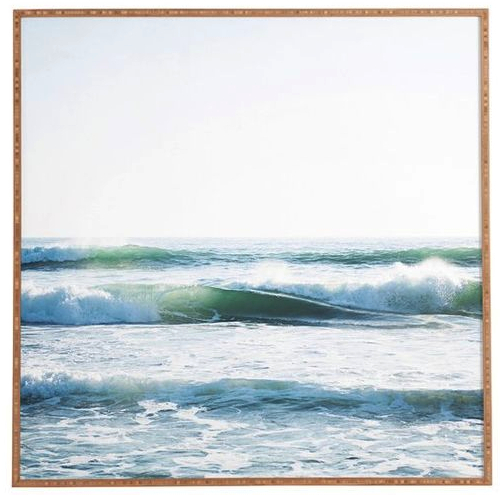 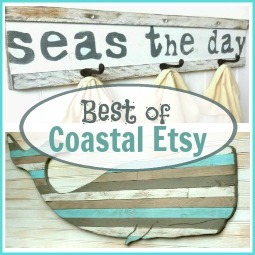 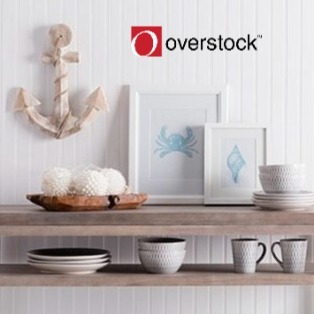 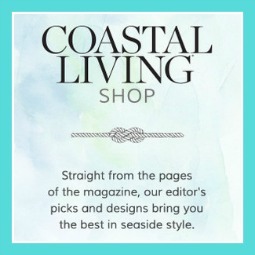 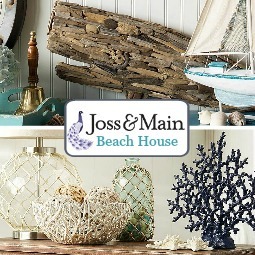 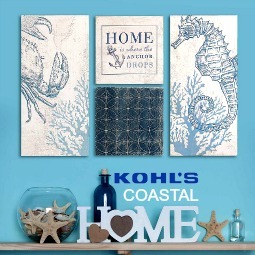 See more Coastal Wood Wall Art. 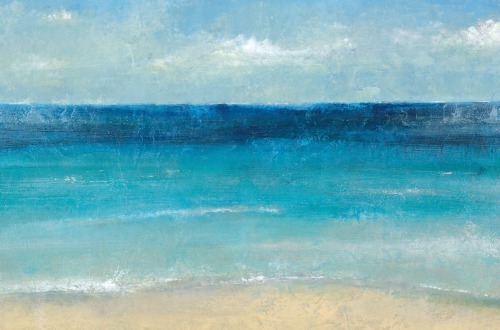 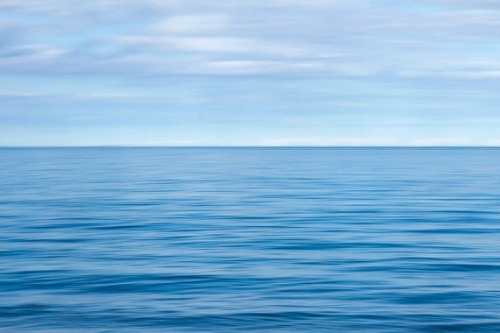 An ocean painting that captures the ever-shifting hues of ocean and sky. 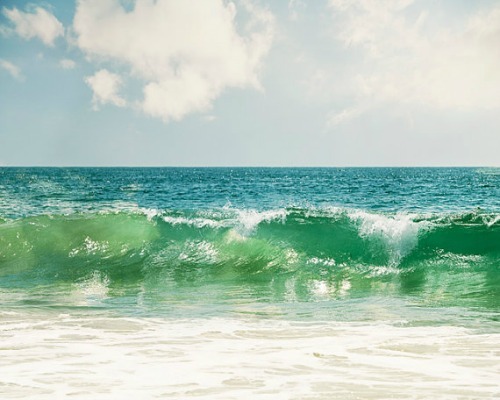 Photo prints are available in large sizes. 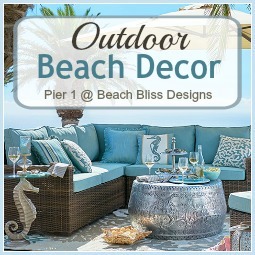 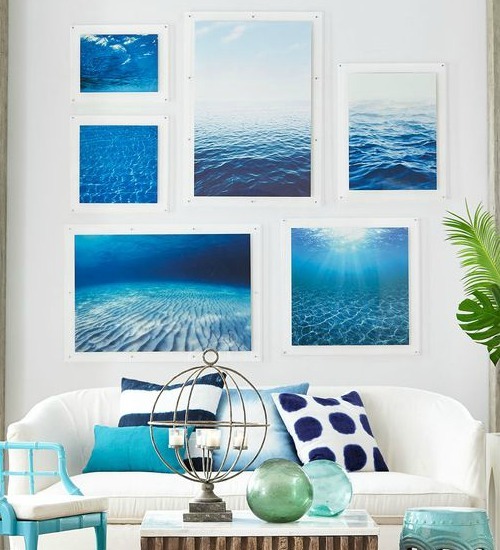 Blue ocean photo art gallery wall idea from Wisteria (no longer available). 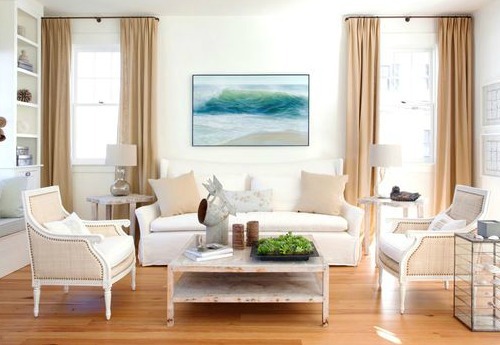 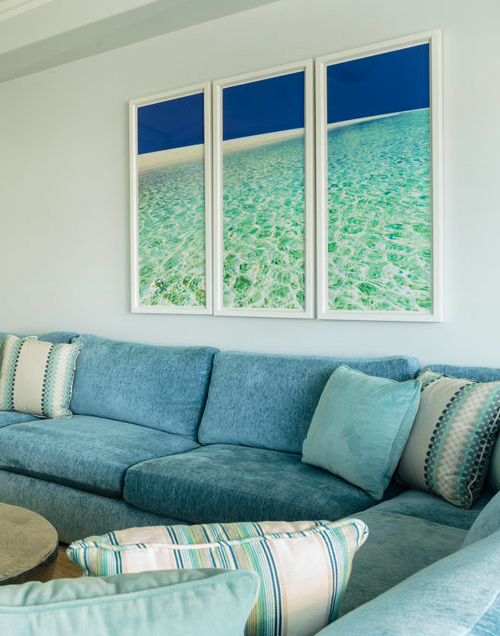 Ocean photo art above sofa in a family room by Caroline Burke Designs. 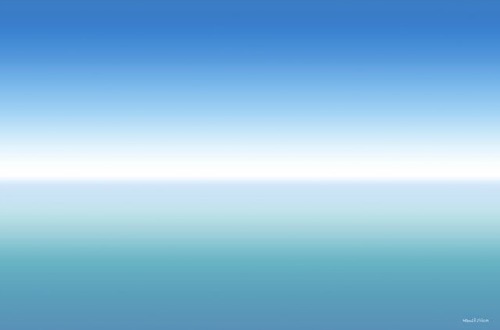 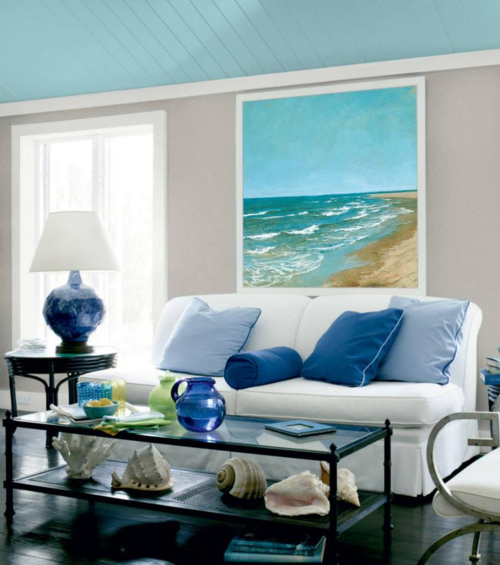 The soothing light blue in the ocean art is also reflected in the ceiling. 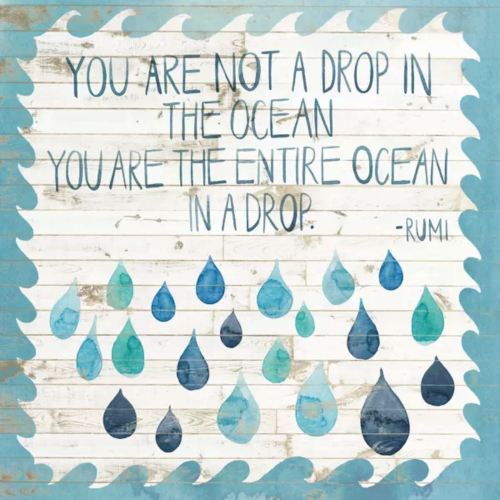 Via Pratt & Lambert. 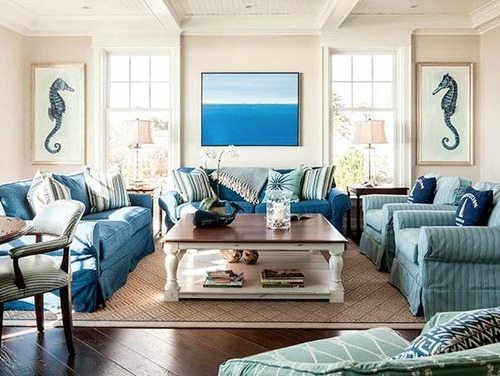 Living room designed by Lisa Tharp. 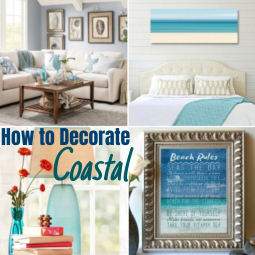 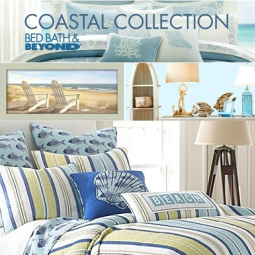 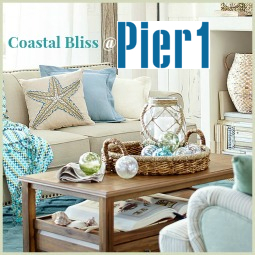 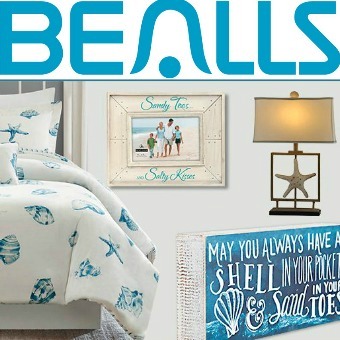 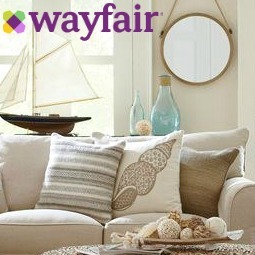 Here the ocean art adds a splash of color in an otherwise neutral room. 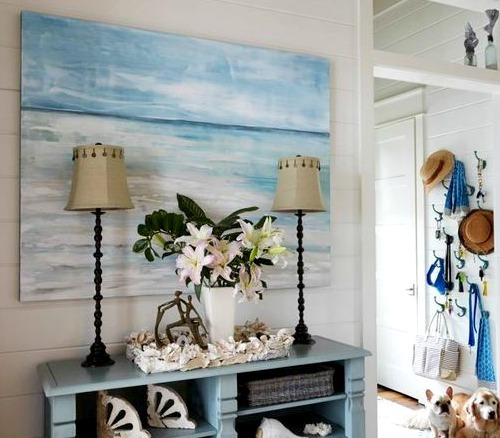 And the foyer is another space where you can use ocean art to create a stunning focal point. 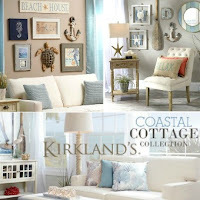 By GCI Design.